Conference speakers will convey knowledge to real estate developers regarding office building plans and to company’s managers on how to make the most of their existing offices. Participants will learn how to increase employee satisfaction and efficiency by 30% by improving their working environment and how to attract talents from competitors purely thanks to their working environment. We invite administrative managers of companies, business real estate owners, office building developers, sales managers of real estate offices, general managers of managers who plan to purchase/rent new offices, construction industry representatives, etc. to participate. – Get the opportunity to ask questions from specialists/practitioners of the field and meet many professionals. 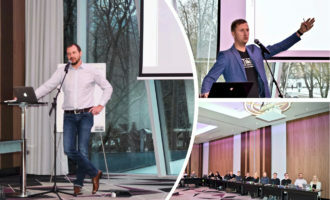 On 23rd of November 2017, Esplan gathered the whole team to Hilton Park Hotel in Tallinn to learn from the best and set the path to move towards company’s vision. Our Chair of the Board Mr Priit Pääso and CEO Ms Kadi Metsmaa, gave a thorough overview about Esplan vision and future goals. Day started with an introduction of Estonian Digital Construction Cluster’s 10-day study visit to Singapore. There were visits to the prefab factories, architecture and engineering companies, universities, real estate developers and state structures. During the visit, we got many good contacts, international cooperation with them continues. Esplan is learning from the best and we are moving towards our vision with increasing speed. Focus of the day was on contemporary design management, which was led by Mr Ergo Pikas. Ergo is a PhD Candidate in construction management. His research interests are related with construction/production management, construction automation and computerization, and design management, more particularly lean construction and building information modelling. As for his second MSc degree, he conducted a research on topic ‘Development and Evaluation of Building Information Modelling Education in Construction Engineering and Management Programmes’. We had presentation about Last Planners system and its usage in design management. Presentation was accompanied with several case studies and examples of best practices. As Esplan is the IPD pioneer in Estonia, we had extensive presentation about IPD principles and Target Value Design. Estonia needs to start implementing these contract forms to allow positive disruption in the constructions field. Management board shared insights about Jira implementation. 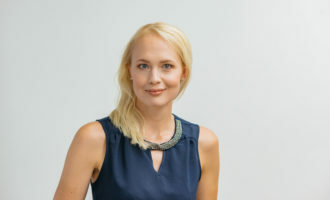 Esplan is the first architecture and engineering company in Estonia that is using this world-renowned software to increase transparency of design management. We are starting to see the benefits already although the implementation of the software has not been easy. The day had 100% attendance rate and it was crucial for information sharing and team-building. Esplan is growing rapidly and this is only possible due the motivated efforts of our employees – we are grateful that they are not satisfied with the present status and are striving for better, more integrated, smarter projects and stronger organization.